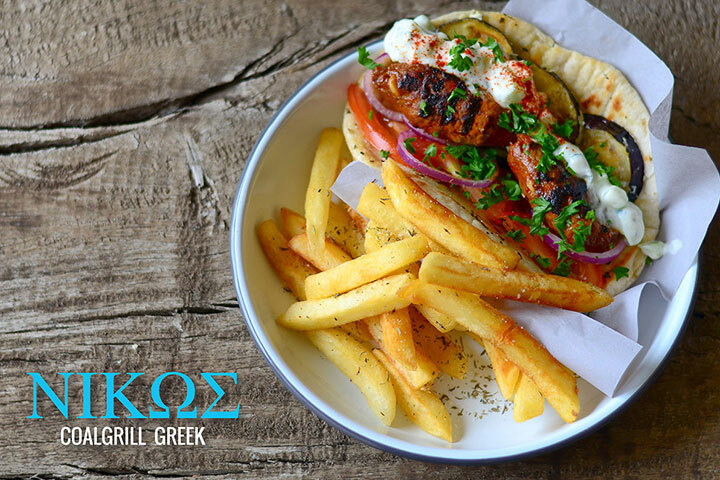 Situated in the heart of Durban North, Nikos marries contemporary dining with traditional homestyle Greek cooking, coal grilled to perfection! 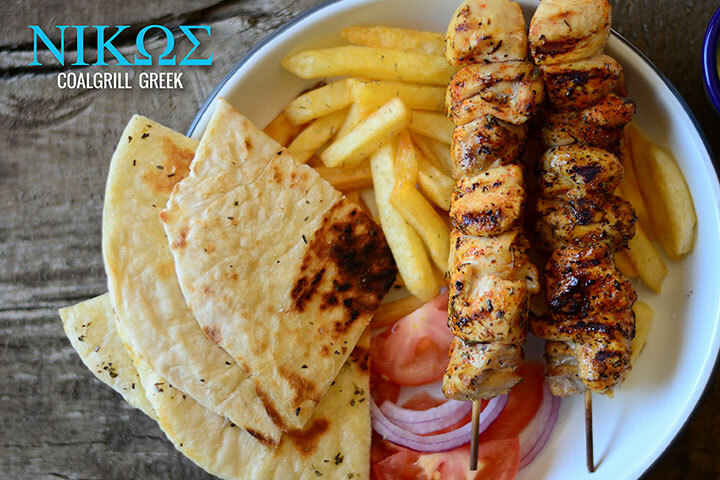 Once you try it, you'll definitely be back for more! The grilled chops are a good choice! 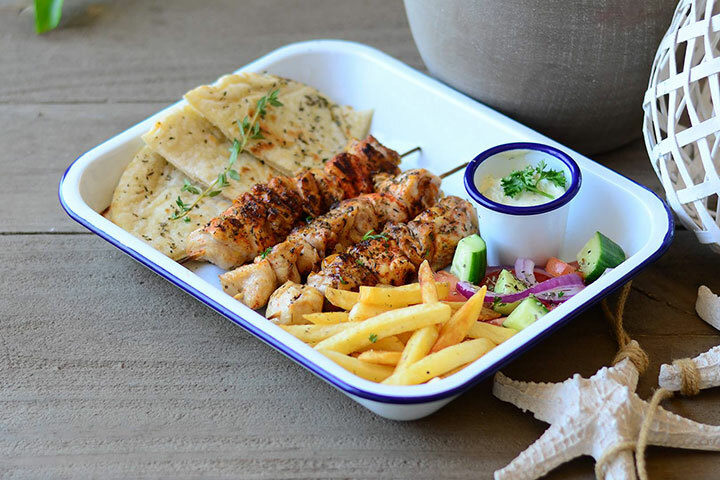 Laid-back, sunny Taverna The new kid in town (June 2017) is the Nikos coalgrill Greek restaurant in the heart of busy Durban North. 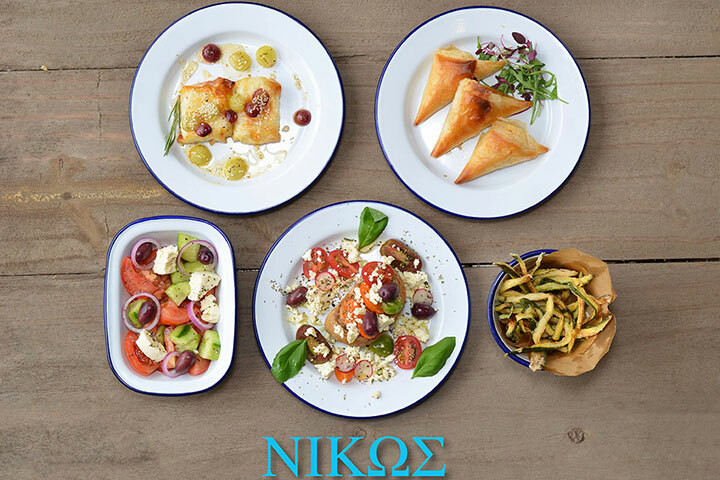 It has added a bright and inviting venue to the plethora of eating places surrounding it, but the crowded tables indicate how inviting Nikos really is. 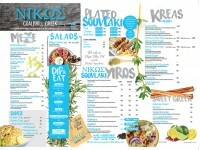 The place buzzes from lunchtime to evenings, and the menu offers excellent Greek dishes that truly satisfy. 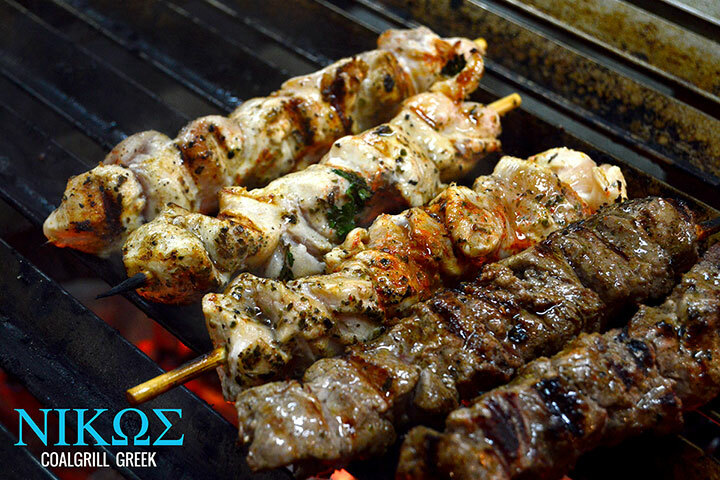 The souvlaki choices are popular pullers, and my skewers of chicken (beef fillet, pork, lamb falafel and chickpea are. 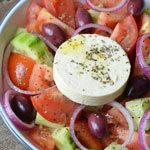 alternatives) were tender and succulent, and came accompanied by great chips and a choice of dips(hummus, Tahina, Tzatziki, all) adding zest to a very filling dish. 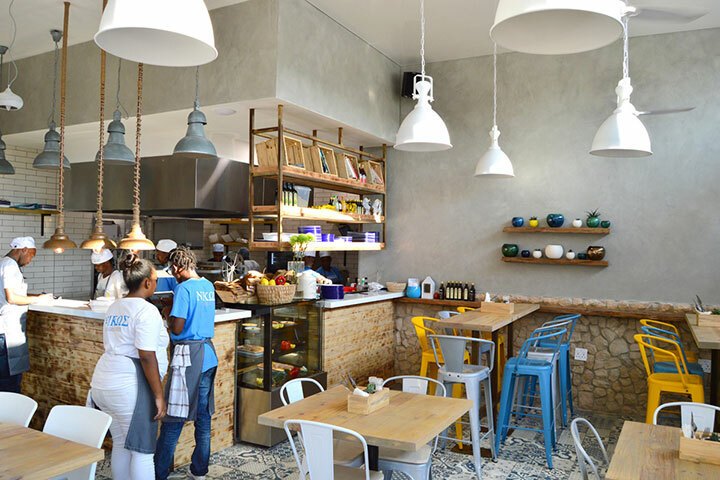 The fried brinjal stack , topped with crumbled feta was another pleaser, and the menu offers a further range of meat dishes, equally tempting, such as skinny lamb chops, coal-grilled pork chops, and mixed pork and beef mince patties. 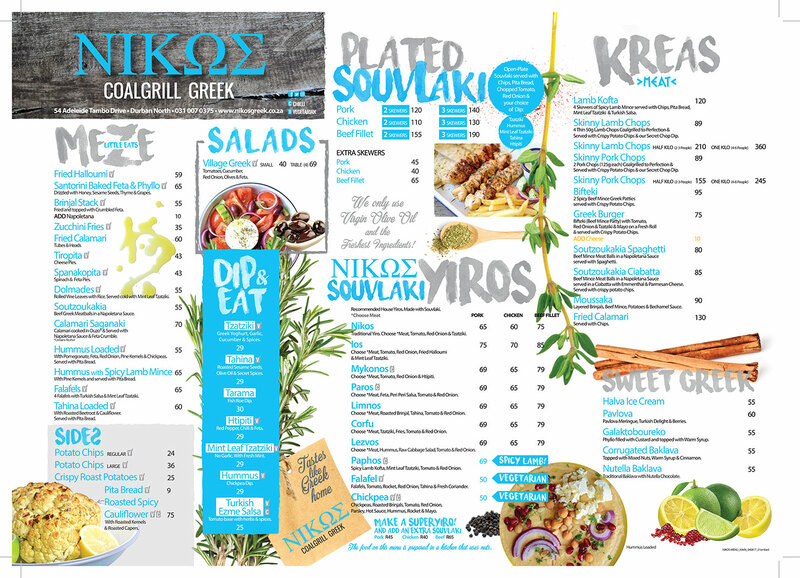 There is a good selection of starters and side dishes, and the sweet Greek section of the menu offers Halva icecream, Pavlova , Karathopita and Corrugated Baklava that will light up the faces of any Greek food lover. 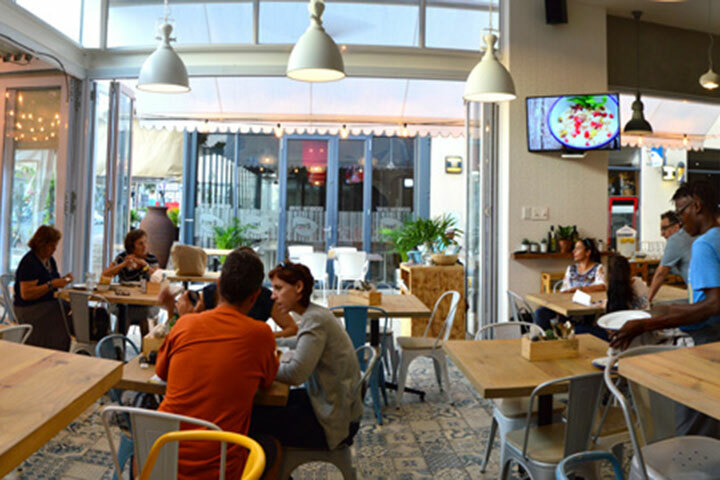 An informal, comfortable place to add smiles to those seen at all the tables.